Wexler Packaging Products, Inc. is looking forward to exhibiting at South Pack 2015 this November. The show will be held at the Orange County Convention Center in Orlando, Florida, November 18–19, 2015. Exhibiting in Booth #917, Wexler will provide expo attendees with alternative packaging and bundling solutions for reduced waste and increased savings. Equipment on display will include the ATS US-2000 AD, an Ultra-Sonic Banding Machine used worldwide for multi-purpose banding applications. Featuring a multi-functional Digital Control Panel, the ATS US-2000 AD has variable tension settings to guarantee gentle banding for even the softest of tensions and fixed lengths. Versatile and efficient, the ATS US-2000 AD has a wide range of uses for bundling in many industries, and can be used as a stand alone unit or ordered with special options for integration into a production line. 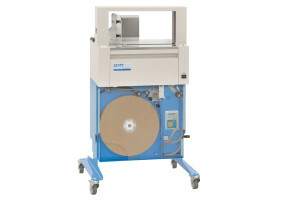 This machine utilizes a wide range of materials including white paper, brown paper and clear films along with custom printed materials for branding and the ability to print on-demand. We will be demonstrating the ATS MSX 420/30. 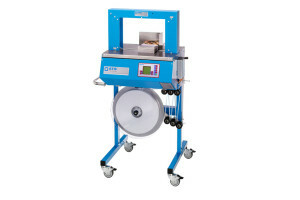 A Wexler customer favorite, this compact and lightweight banding machine boasts speeds of up to 33 bands per minute and is capable of running an ultrathin 60-micron clear film for efficient product bundling and reduced material costs. Show highlights this year include a “Booth Crawl”, allowing attendees to enjoy light food and drinks as they move about the expo floor. South Pack’s Center Stage will also be returning for 2015, featuring interactive demonstrations, keynote speakers, panel discussions and peer-to-peer activities designed to inspire and educate the masses. Make sure to stop by Booth #917 during the show to learn more about the alternative packaging and bundling solutions Wexler has to offer. Booth attendees ready to “Go Green with Banding” will receive an exclusive discount for any machines purchased during South Pack. Not yet registered to attend?  Consider joining the Wexler Team, along with 3,000+ manufacturing professionals and industry leaders for two days of innovation and inspiration in sunny Orlando, Florida! For complimentary passes please contact our office: (215) 631-9700.